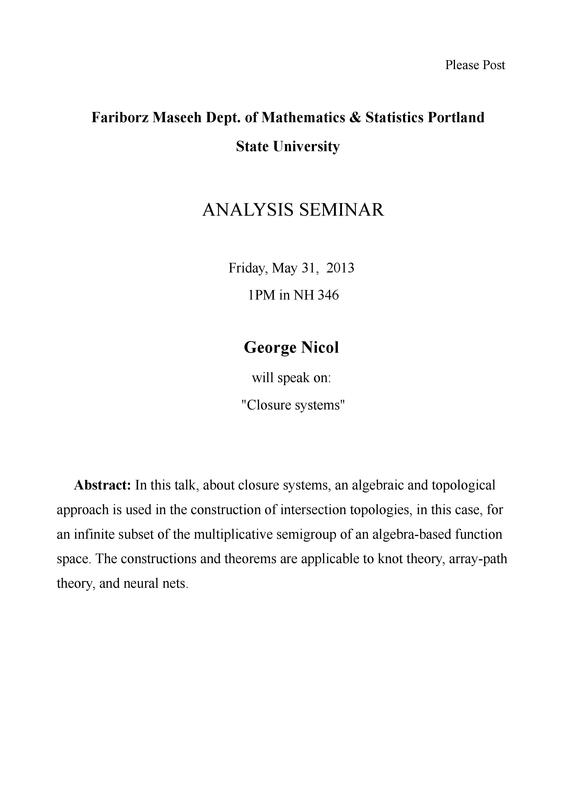 May 31, 2013, Mathematics Dept; "Closure Systems." 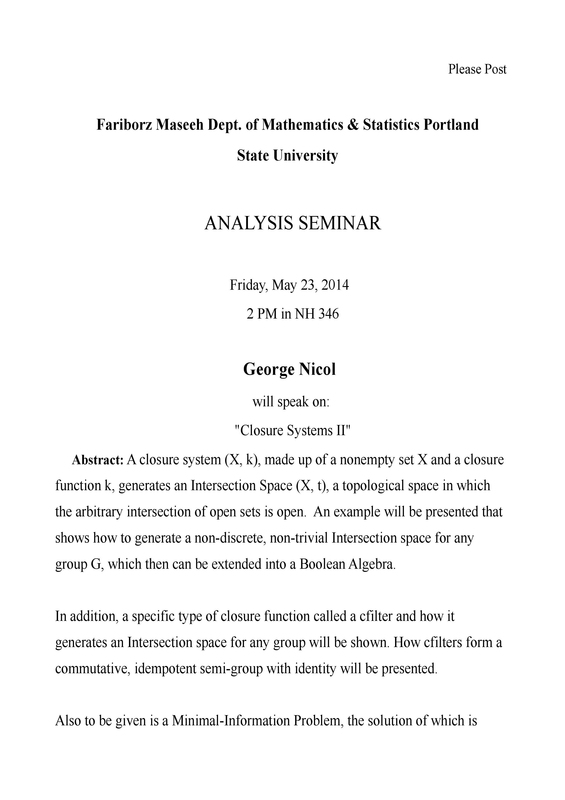 May 31, 2013, Systems Science Dept; "Closure Systems Applications"
May 23, 2014, Mathematics Dept; "Closure Systems II." 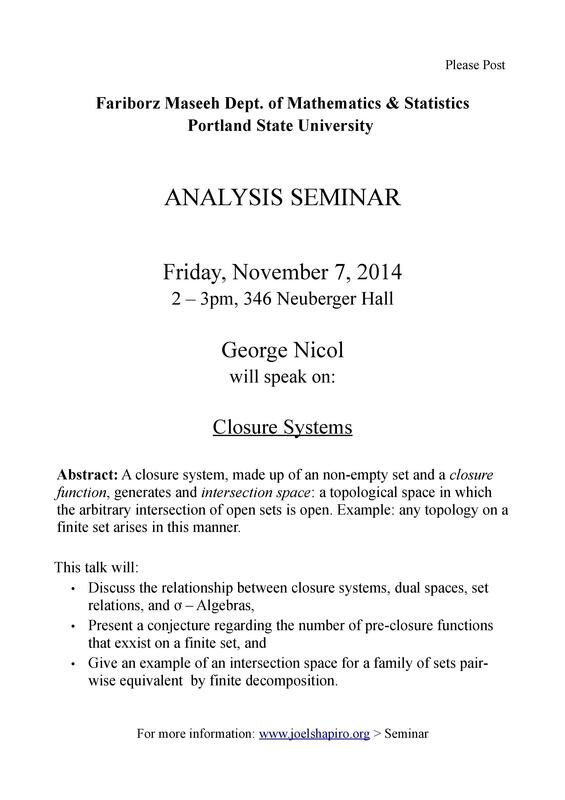 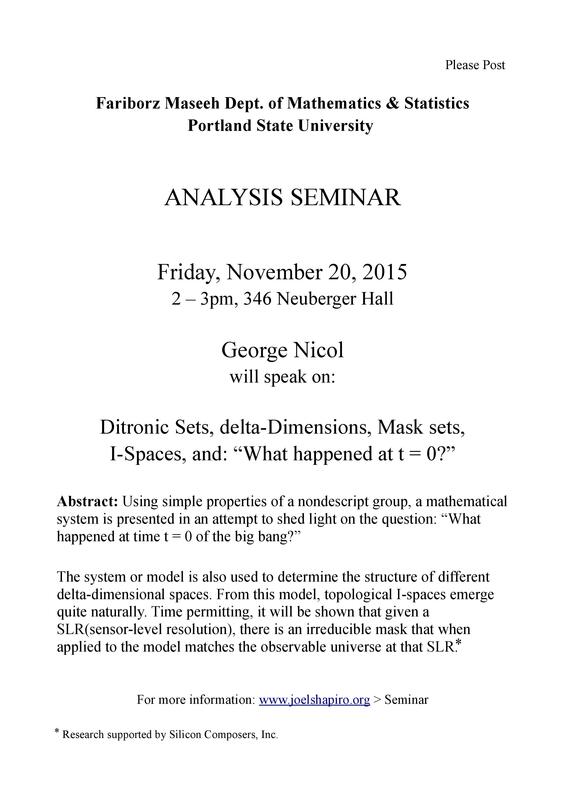 November 7, 2014, Mathematics Dept; "Closure Systems"
November 20, 2015, Mathematics Dept; "Ditronic Sets, delta-Dimensions, Mask sets, I-Spaces, and: What happened at t = 0?" 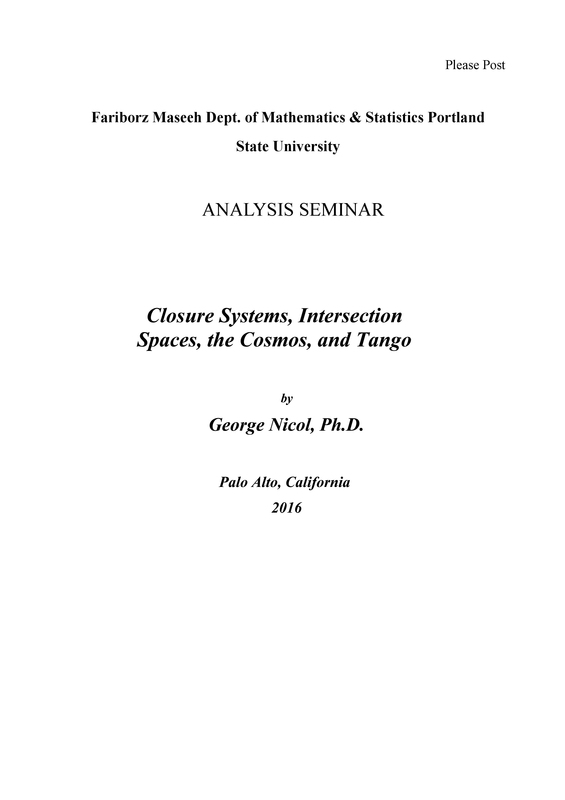 The book "Closure Systems, Intersection Spaces, the Cosmos, and Tango" is a work-in-progress book covering most of the mathematics George has been doing for the last 15 years or so.